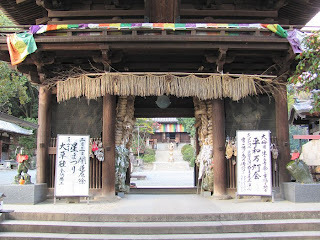 Entrance to Ishite-ji. 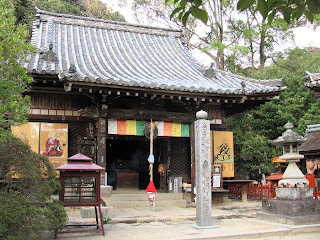 The name means "Stone Hand Temple." The name of the temple originates from a legend that tells of a man named Emon Saburo who refused to provide food to a hungry pilgrim. He turned that same pilgrim away on a total of eight occasions. In the eight days following this incident, Saburo lost his eight sons, one on each day. He decided to repent and determined that he would find the pilgrim and apologize for his behavior. It is said he walked the Shikoku pilgrimage route 21 times before finding that pilgrim who turned out to be Kobo Daishi himself. 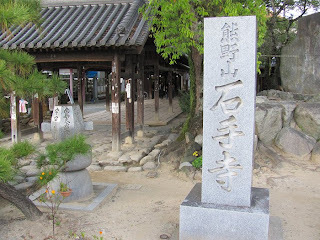 Saburo apologized to Kobo Daishi who put a stone in Saburo's hand. Saburo then passed away peacefully. Later in the early 17th century, a son was born to a local ruler. The child was not able to open his left hand for many years until a priest succeeded in opening it through prayer. In the child's hand was a stone upon which was inscribed, "incarnation of Emon Saburo." Entrance to the inner compound at Ishite-ji. 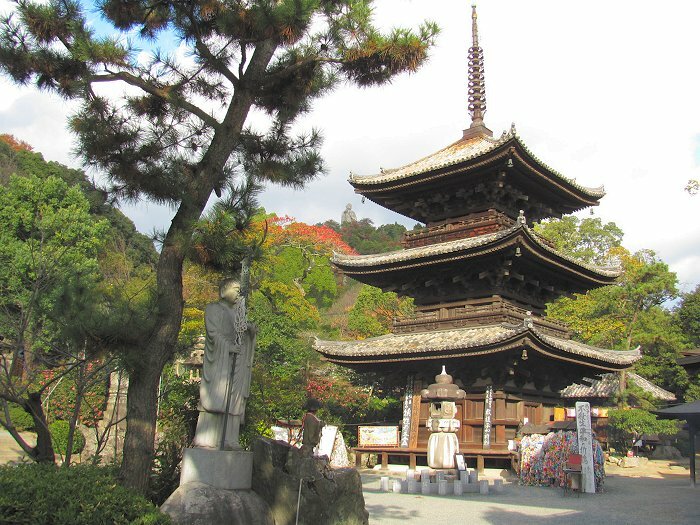 This lovely three-tiered pagoda graces the Ishite-ji grounds. One of several halls at Ishite-ji. 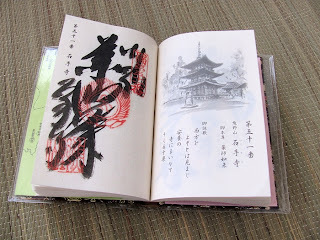 The stamp for Ishite-ji in my nōkyōchō. 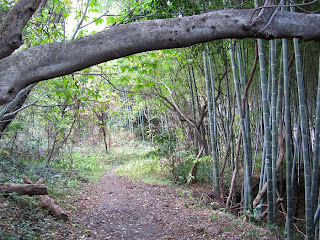 A segment of the pilgrim's path as it leaves the Ishite-ji temple grounds. 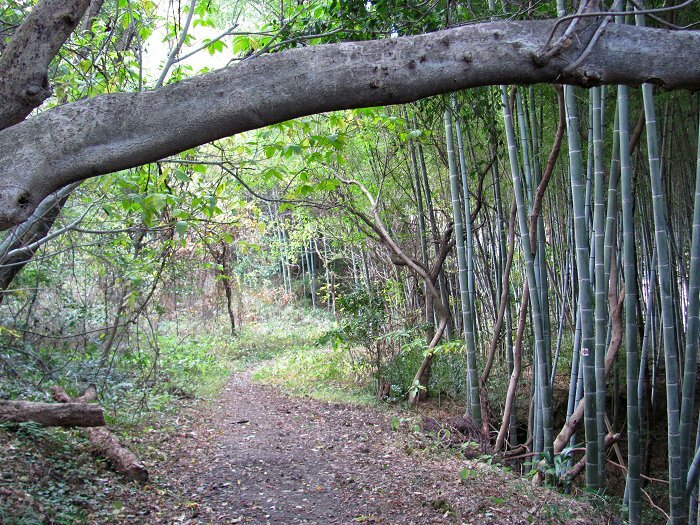 If you look closely you can see a red route marker on the bamboo stem at the right side of this photo.